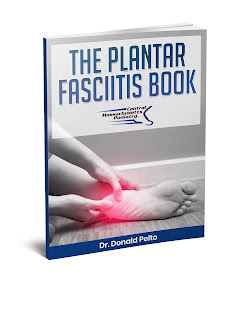 Dr. Pelto's Blog: What is the proper protocol to get rid of heel pain? What is the proper protocol to get rid of heel pain? 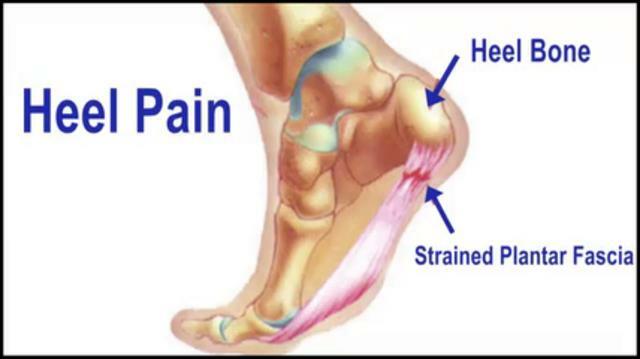 Many people, when they have heel pain, they search the internet because they are in need of getting better quickly because of the amount of pain. Many people go through pain and suffering and they spent a lot of money on these devices they can find online, but they don’t get any results. I’m going to explain what heel treatment protocol tends to work best for my patients most of the time. There are about 100 different products you can buy to get better from heel pain, but they focus around these three treatment options, these three modalities of treatment. I am going to go into the ones that work best for me and then I’m going to expand a little bit about the other things that you can maybe find online to buy, but may not be necessary to buy. First is reducing inflammation. Reducing inflammation, I find, works very good because you’re having pain down the heel, you have to reduce the inflammation, because what happens is every time you get up, you re-irritate the plantar fascia, it irritates it, starts a pain circle and then you stretch it out a little bit, it feels a little bit better, then you sit down, it tightens up, and when you get up it inflames it again. So you have to break that cycle. Usually when the people come in, I give them a cortisone injection to break the cycle, and then I have them ice it with a bottle of water twice a day by rolling it on the bottom of the foot for about five minutes, and use an anti-inflammatory, whether it be Motrin, ibuprofen or something prescribed, or even a prednisone dose pack that can help the inflammation. When you look online, you’re going to find many other things that may be used for heel pain. There’s different ice packs, there’s different medications, there’s different natural herbs and roots they recommend, there are different pain relieving creams. There’s hundreds of different things that you can find to reduce the inflammation around the area, but I find that those three work very well; ice, anti-inflammatory and cortisone injections. Start with those. Those are the ones that work well. The next aspect is to reduce the tightness in the back of the calf. That’s going to be essential to get rid of the heel pain. Most people try stretching. When people come into the office, I usually recommend one of two things. I recommend utilizing trigger point tools. You can find that at tptherapy.com. Use the grid or the back of the calf pack, working that out on their own at home twice a day, once in the morning when they get out of bed and then once at the end of the day after their activity. If that doesn't work, then I send them to skilled physical therapy for a treatment called Graston technique. It involves rubbing down a piece of metal on the back of the calf to loosen up any of the adhesions in that area. It’s very, very effective to reduce the pain. If you look online, you’re going to find hundreds of things. You’re going to find night splints that you can buy, that I do use, but I find that the trigger point tools work better. You’re going to find a Strasberg sock to help stretch it out. You’re going to find different types of taping activities. You’re going to find different types of massagers for the back of the calf. You’re going to find a lot of different things that all focus on working out the stretching in the back of the calf. I find that these two things work the best, the trigger point tools or physical therapy, so try to start with those and if they don’t work then you can do some of the other things. Another thing is something to strap the bottom of the heel or a little compression sock on there. All of those are used to just kind of hold in everything. They can be helpful, but I find that these other things tend to work better. The third thing is to correct the heel alignment and I find what works best for correcting heel alignment is a nice stable sneaker and a custom orthotic that helps correct the heel position, if there is any abnormality in your heel position. What you find are tons of over-the-counter arch supports. Some say that they correct the heel position, but if they’re not professionally made to hold the heel in the right position, they’re not going to really do it. They’re going to give a nice stable arch maybe, but they’re probably not going to be holding everything correctly in the heel. The keystone of the foot is holding the heel in proper position. You’re going to find a lot of other arches, a lot of pads, a lot of cushions, anything you can imagine to put in the bottom of the shoe, but what I find most effective is a nice stable sneaker like an Asics or a New Balance, you’re probably looking to pay about $100 or $120 for them, getting them from a professional shoe store, and then a custom orthotic if that doesn't work. That’s going to correct your heel alignment. Those are the two most effective things. All these other things are going to cost you money, so just be aware of buying those things. There are a hundred types of treatments out there. I find that these are the most effective for getting people better fast.